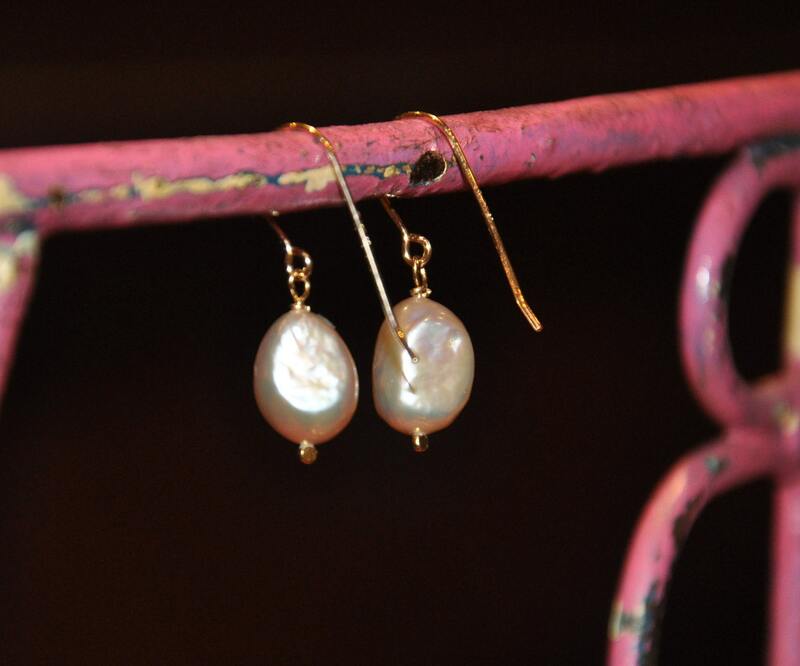 These pink earrings are perfect for women who love pink, as well as for women who don't. 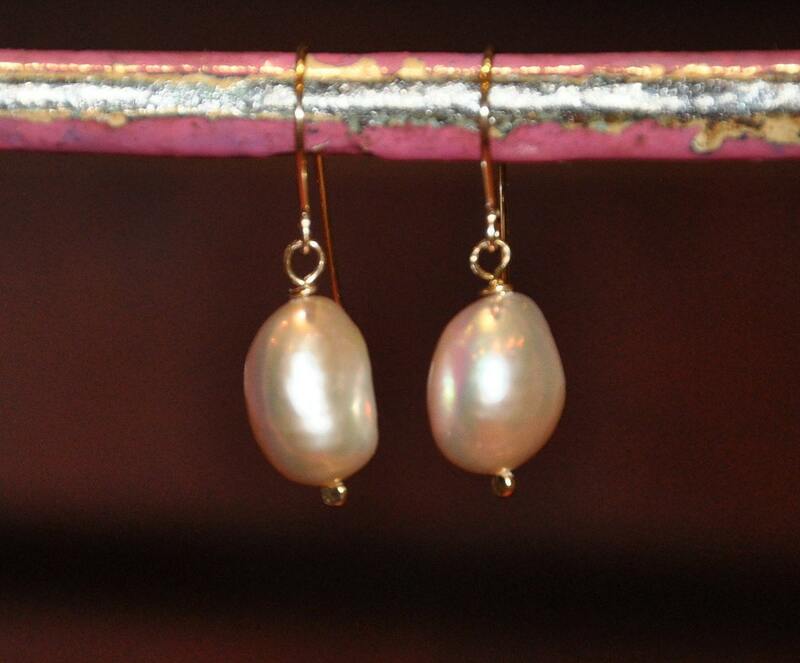 They glow with an amazing combination of gold and warm pink, with occasional hints of metallic bronze and lavender. 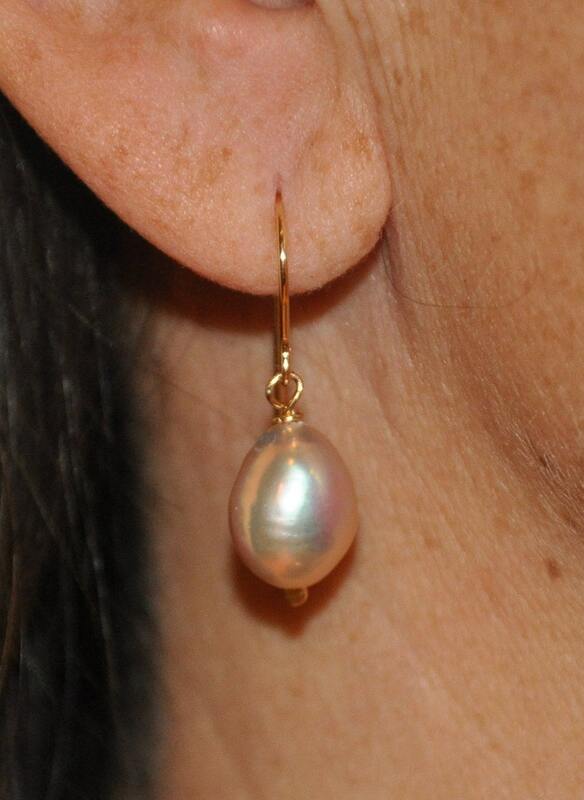 The earrings is made with natural freshwater pearls and 14k-gold-fill, and come with rubber safety backs.